Failed Georgia gubernatorial candidate Stacey Abrams gave the Democrat response to President Trump's State of the Union Address Tuesday night. She unsurprisingly focused on race, falsely proclaimed Republicans want to suppress the vote and oddly claimed President Trump's economic policies hurt the middle class. 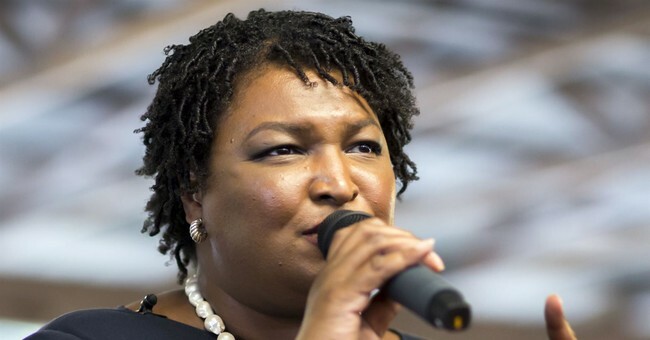 During her remarks about immigration, Abrams conveniently gave credit to President Barack Obama for "humane" policies.
.@staceyabrams: "Compassionate treatment at the border is not the same as open borders. President Reagan understood this. President Obama understood this. And Americans understand this." But it was the Obama administration that put unaccompanied minors in cages while they were held in overcrowded detention centers. As a reminder, Abrams believes illegal aliens should be allowed to vote in U.S. elections.